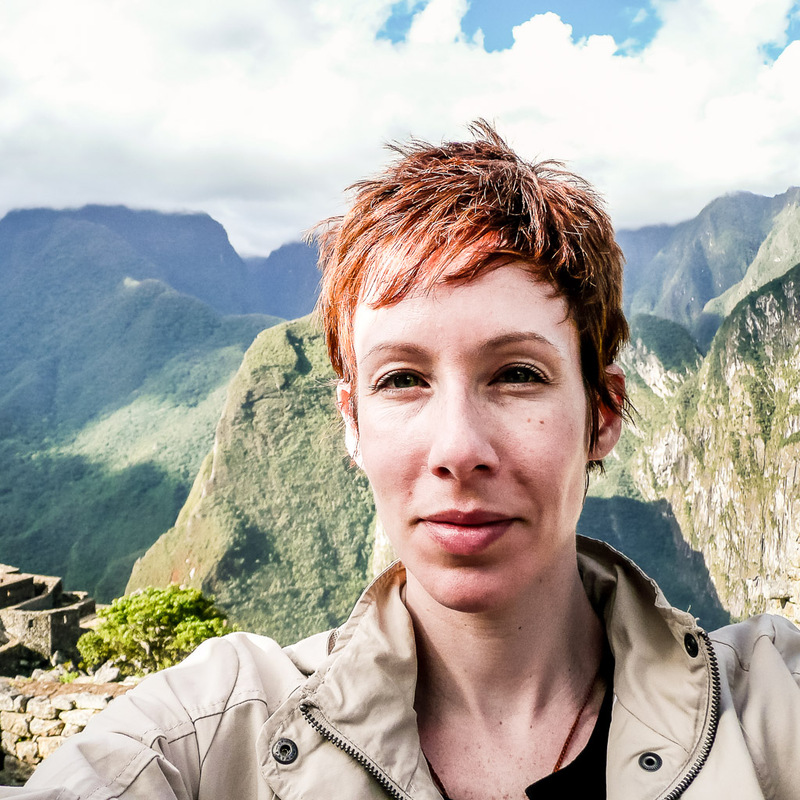 How does a culture exist for thousands of years while simultaneously conserving the environment? 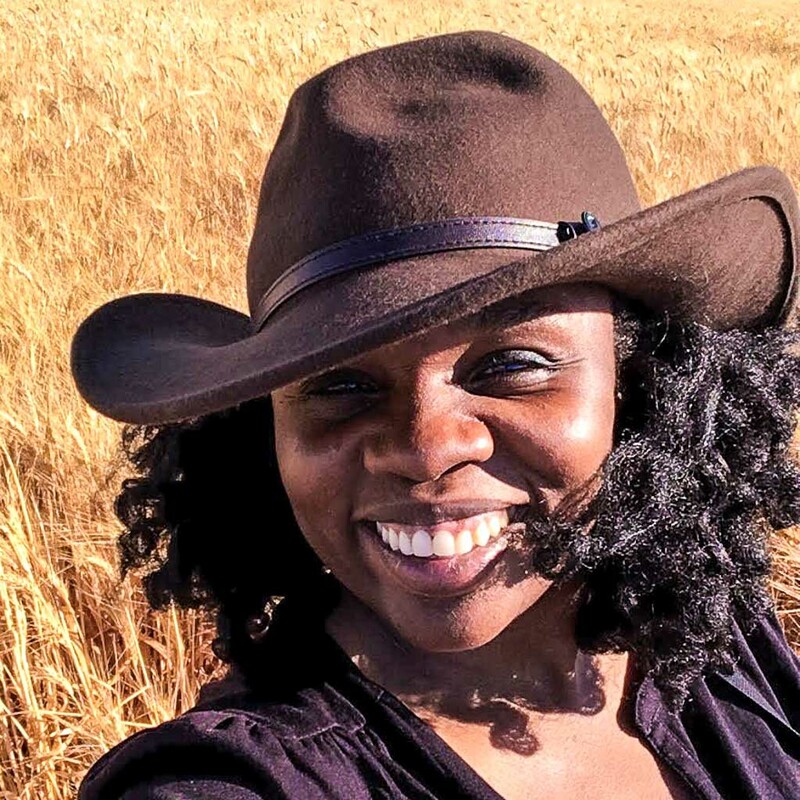 Lola Akinmade Åkerström heads to northern Sweden to find out. “You need warmer clothes,” Nils tells me at our very first meeting. 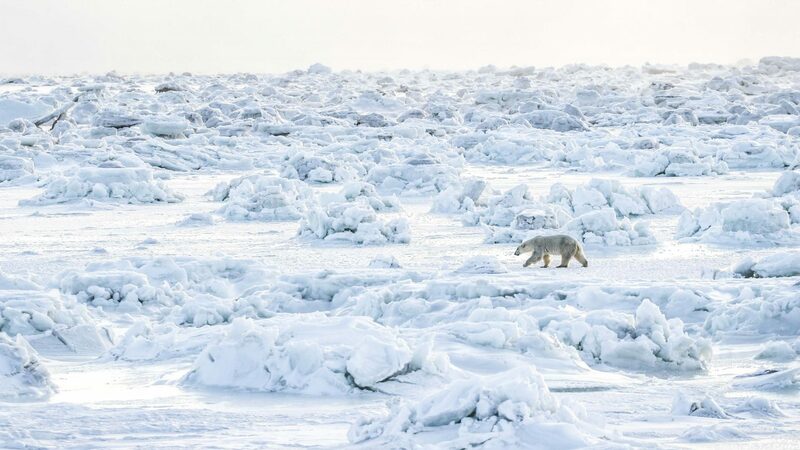 I’ve just landed roughly 150 kilometers inside the Arctic Circle during the darkest time of winter. My destination is the small village of Jukkasjärvi, roughly 20 kilometers east of Kiruna, Sweden’s northernmost town. 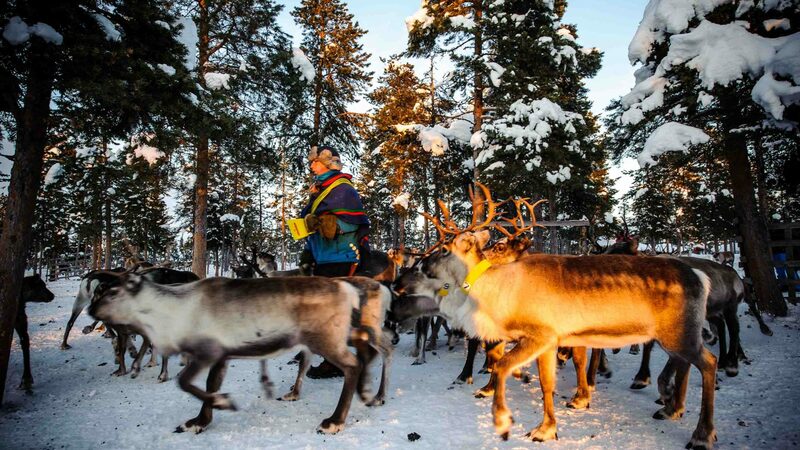 Nils Torbjörn Nutti is one of over 100,000 indigenous Sámi (over a quarter of which live in Sweden) who live in northern parts of Norway, Sweden, Finland, and the Kola peninsula of Russia in a region collectively known as Sápmi. 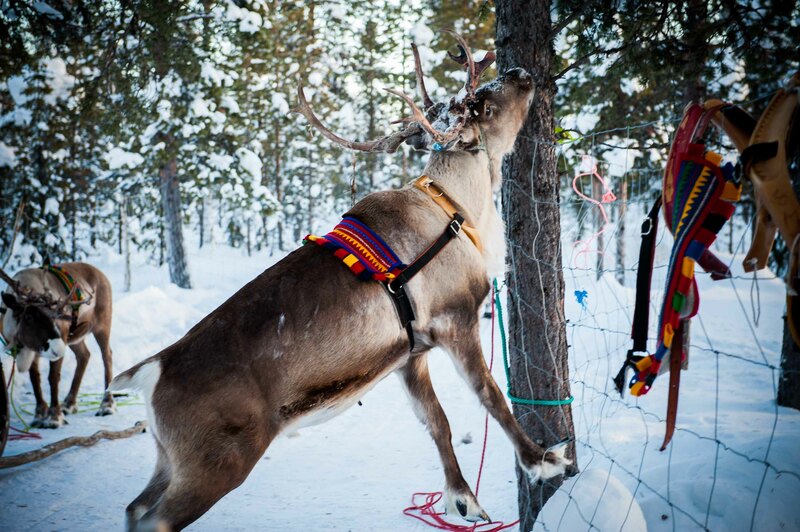 He’s a reindeer herder in Saarivuoma sameby. 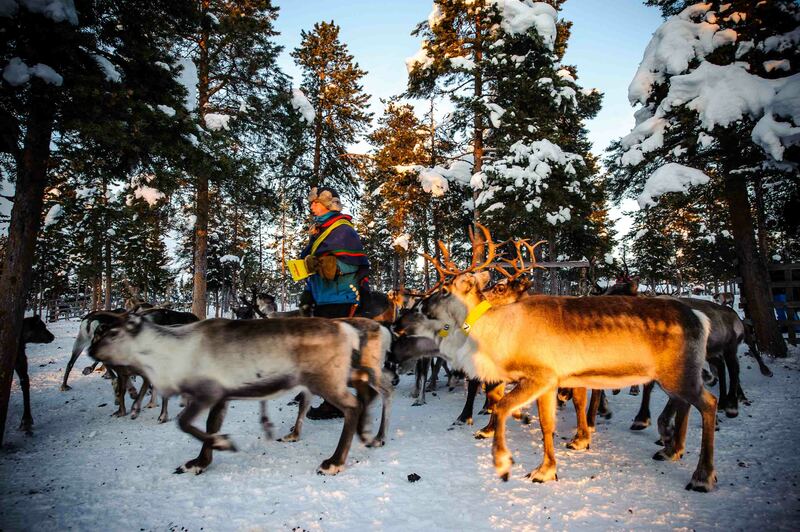 Sameby means ‘Sámi village’ and denotes a reindeer-herding community. 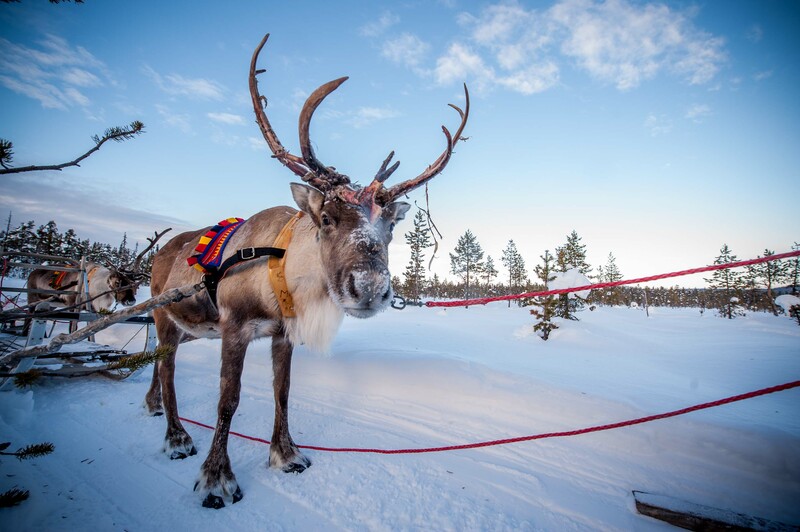 Nils also runs Nutti Sámi Siida, a company which organizes experiences that bring travelers closer to his reindeer and culture on their own terms. I head towards his storage facility to pick up thick overalls, boots, caps and gloves. Compared to this new get-up, my own winter gear seemed more like beachwear. 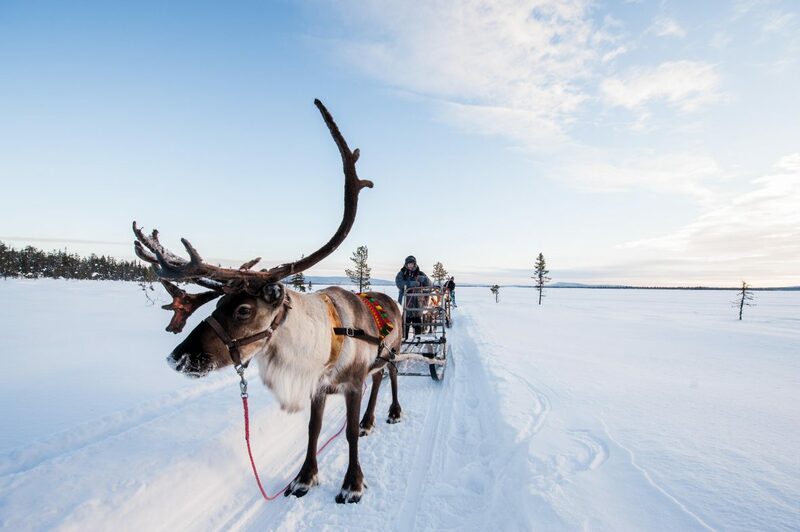 I press on towards the reindeer lodge, which is walking distance from the banks of frozen River Torne. 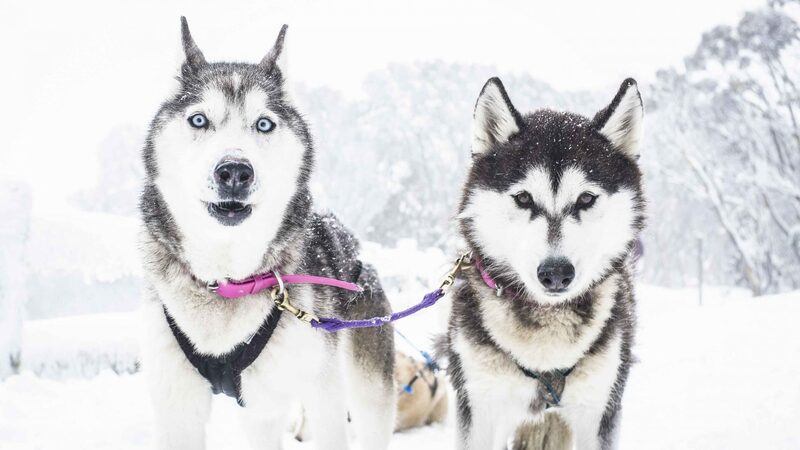 RELATED: Husky sledding … in Australia? Before veering towards the lodge, three teams of huskies pulling one-man sleds race by in front of me. The low sun is toying with the landscape, splashing crisp, densely-packed snow with golden light. 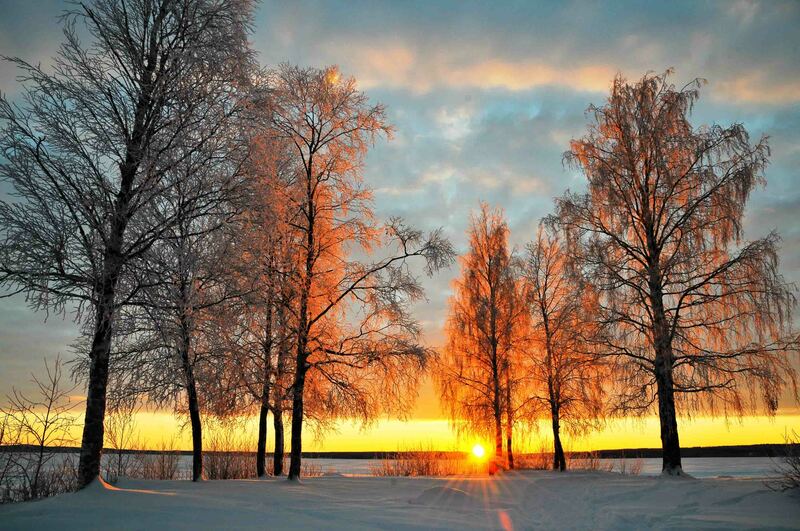 Snow-covered pine trees shimmer and bask in the sun’s warm glow. But it remains bitingly cold. 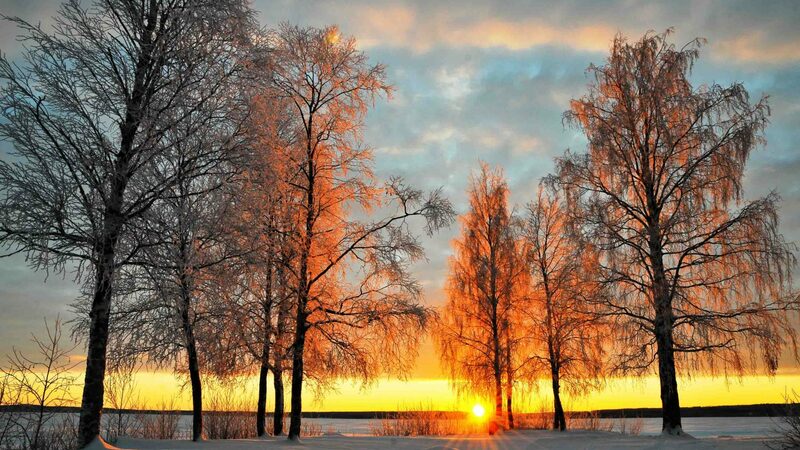 This is Swedish Lapland at its most beautiful. I finally reach the lodge. A few feet away are wooden pens where Nil’s corral hand at the time, Jakob, is feeding reindeer. There are a hundred here, and thousands more lie deep within the mountains between the border of Norway and Sweden. Nils explains that a particularly harsh winter forced them to gather and feed the weakest of the lot in corrals instead of leaving them out to roam in the tundra with the others. 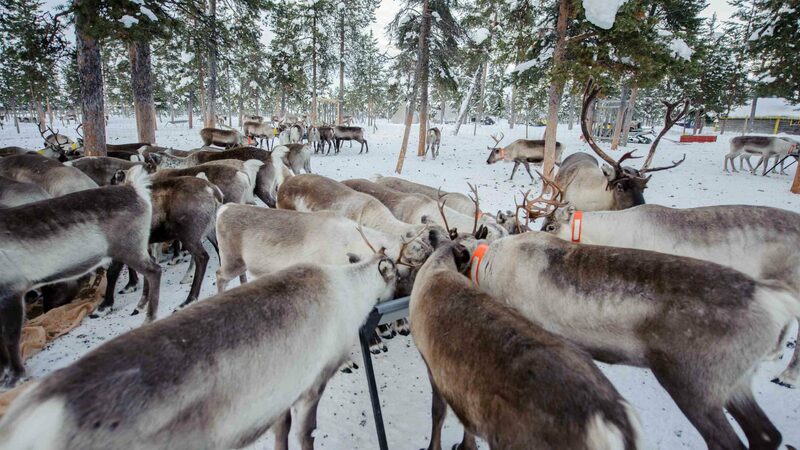 To supplement the costs of feeding the corralled-off reindeer, they contacted the nearby ICE Hotel to see if they’d be interested in sending over guests to learn about reindeer husbandry and try sledding. That was over 20 years ago. The curious animals are inching closer to me. Each has its own personality, and sports uniquely shaped antlers. 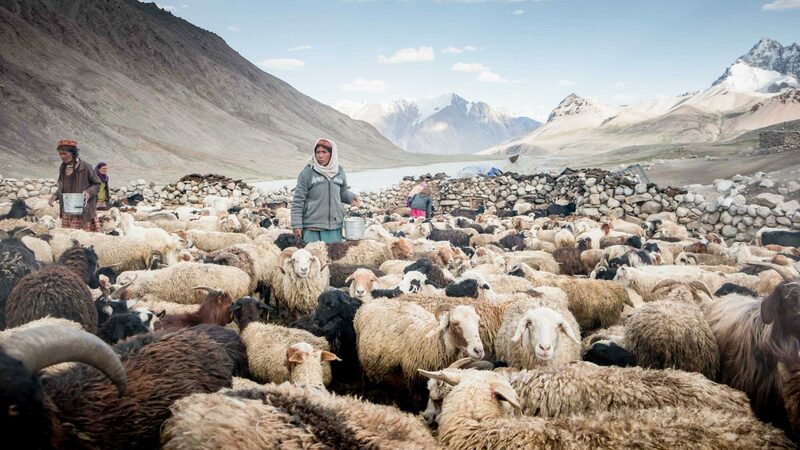 Every part of the animal is used—meat for food, fur for clothes, antlers for tools and craft. But when it comes to herding, the reindeer actually herd the Nutti family, not the other way around. Over an Arctic dinner of chanterelle mushroom soup, reindeer steak marinated in wild blueberries, and root vegetables roasted in reindeer fat, I learn that herders follow the natural migration paths of the reindeer because the herd has a much closer instinctual relationship with nature than man. 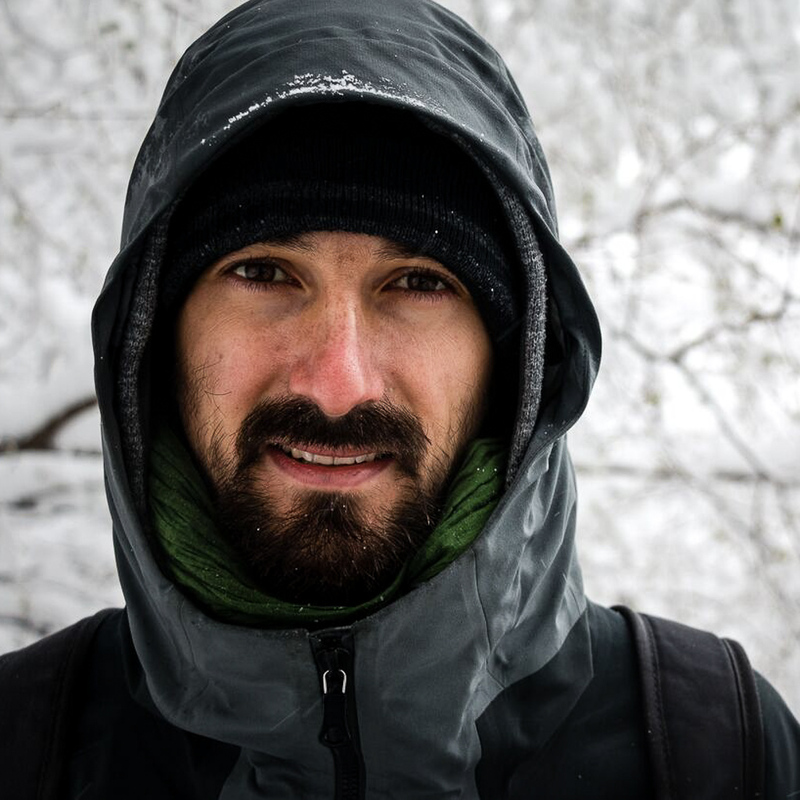 The next day, I meet up with Nils and his brother Per Anders Nutti, and we head over to the reindeer corral where Jakob is lassoing and catching a few bulls—male reindeer—to work our sleds that morning. We each pick a wrangled bull, which are typically stronger than their female counterparts, making them perfect sled partners. Henrik Nutti, Nils and Pers’ father, had used reindeer sleds for transportation long before snowmobiles were introduced to the region. 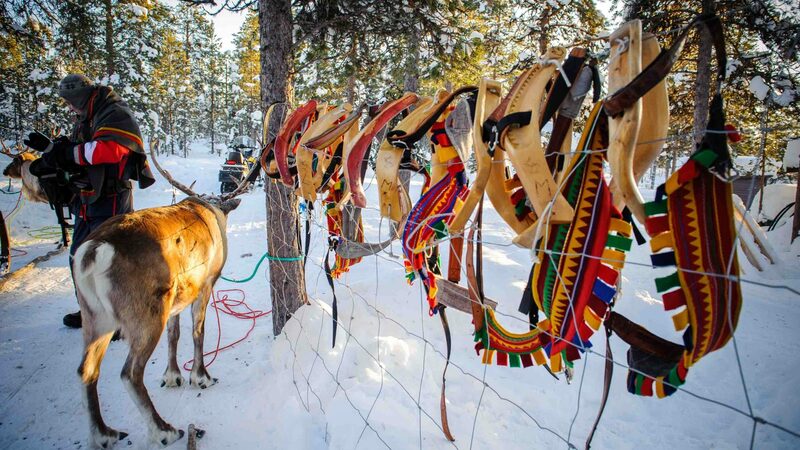 So the brothers had repaired his old harnesses, learned the skills themselves, and trained their reindeer to pull sleds. Once briefed, the Nuttis show me how to harness them up, attach the sleds, and drive one. 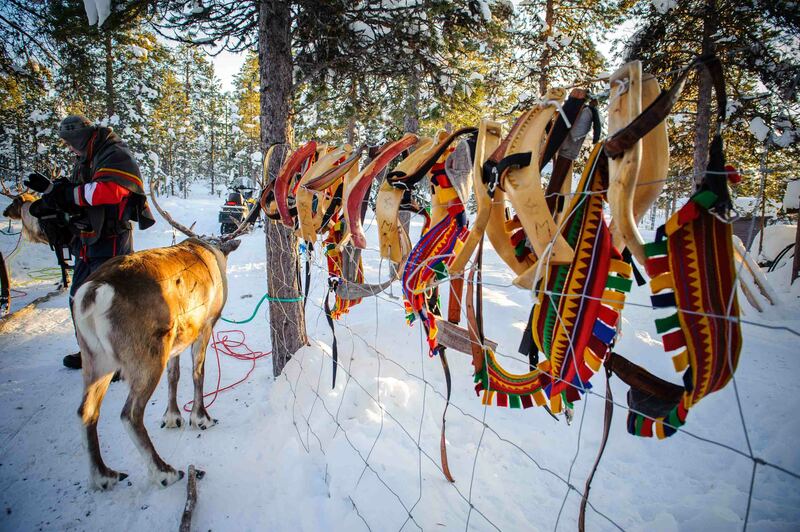 To man the sled, one hand should hold the wooden structure for support while your other hand holds the rope attached to the reindeer’s harness for navigation. 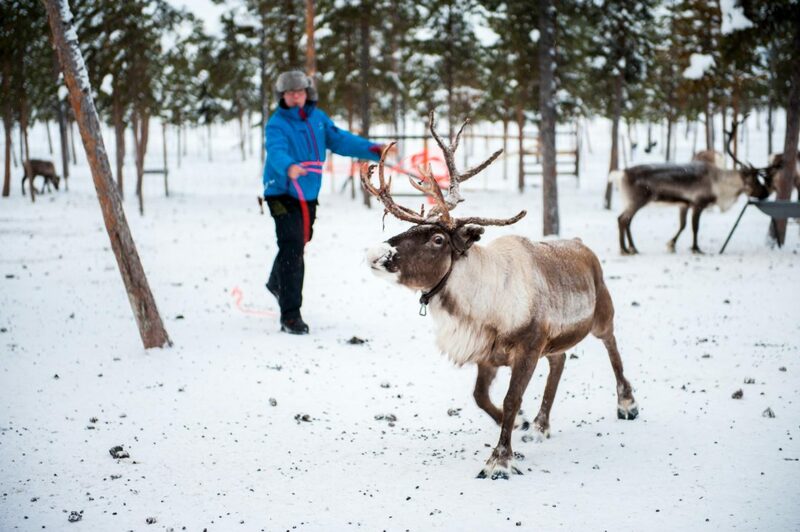 To start the sled, you give it a manual kick-start with your leg, and you pull the rope slightly to kick-start your reindeer. And with that, we start guiding our small convoy of reindeers gently yet sternly through boreal forests filled with pine trees towards frozen River Torne. 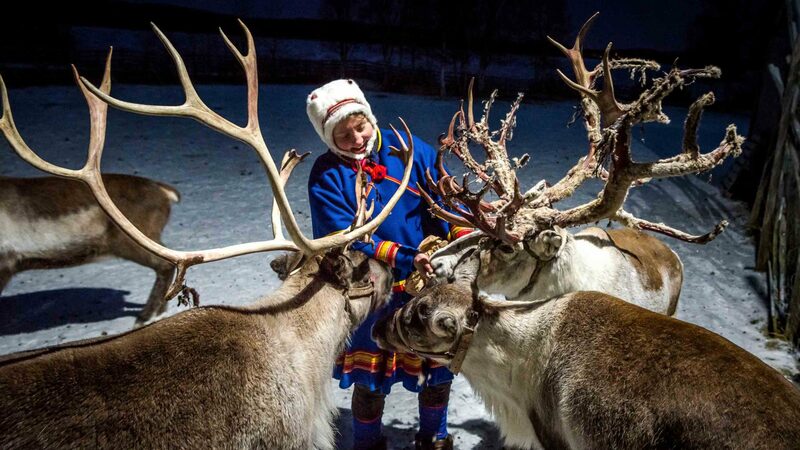 While most Sámi are Christians today, practising or not, their traditional beliefs were once rooted in shamanism. 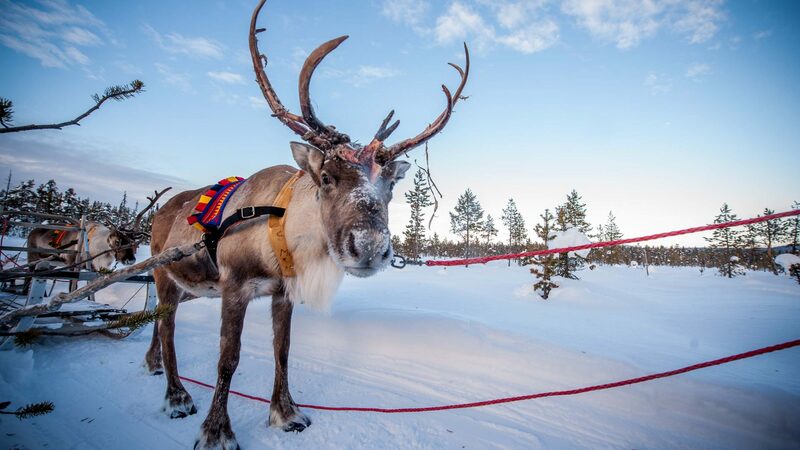 Historically, many Sámi believed that life came to earth through a big white male reindeer which descended from the sky riding on auroras—the northern lights. For thousands of years, the Sámi didn’t have a written language or old books to reference, so history was passed on through storytelling. 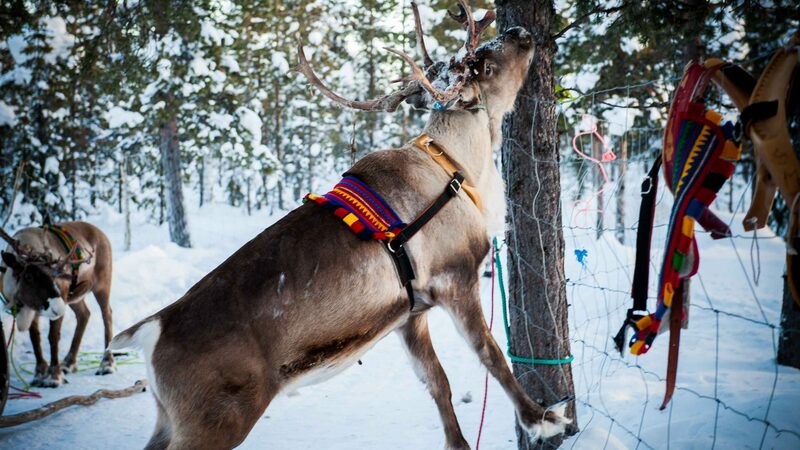 The Sámi respect for nature runs deep. 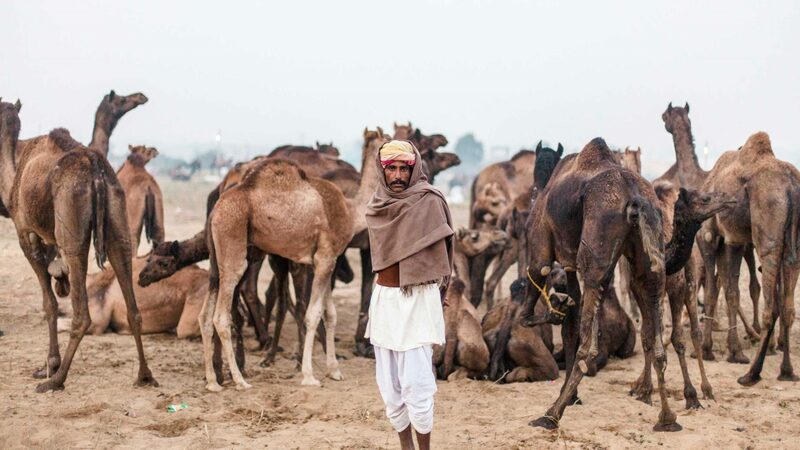 Over centuries, because of their nomadic lifestyles, they looked for different signs in nature to help them forecast the weather and help them navigate migration paths. 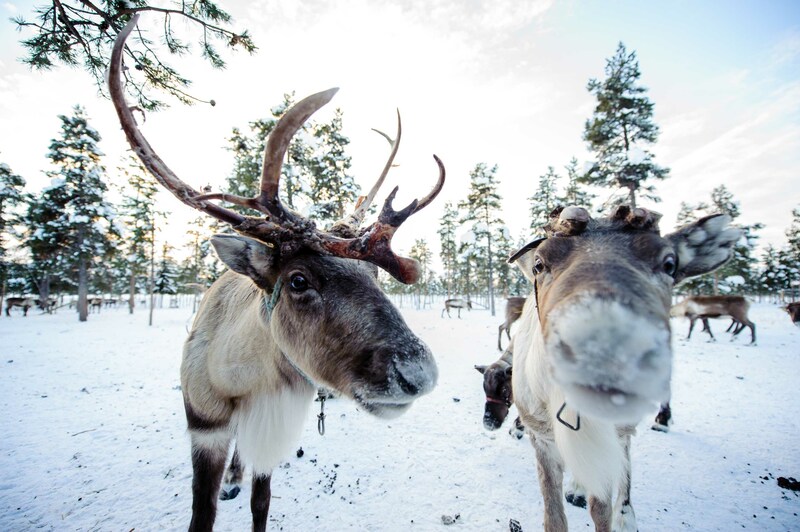 If it’s roughly minus 5-10 degrees below with cloudy overcast skies, the reindeer may not be in the mood to run or pull as hard on their sleighs—they can detect colder weather coming over the following days and want to prepare for it by conserving their energy. 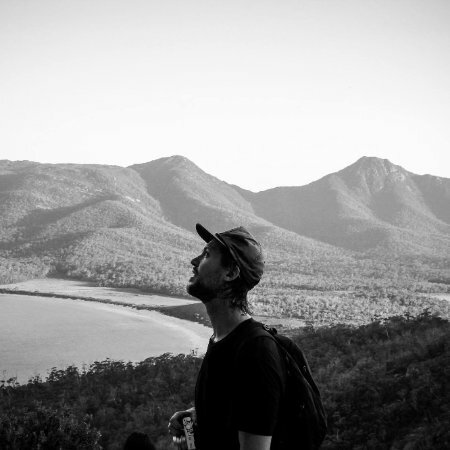 “They depend on nature, so they don’t expend energy unnecessarily,” Nils notes. “It takes a lot of energy to dig up and find lichen to eat under snow in the forest.” He proceeds to explain the ecosystem of sustainability. 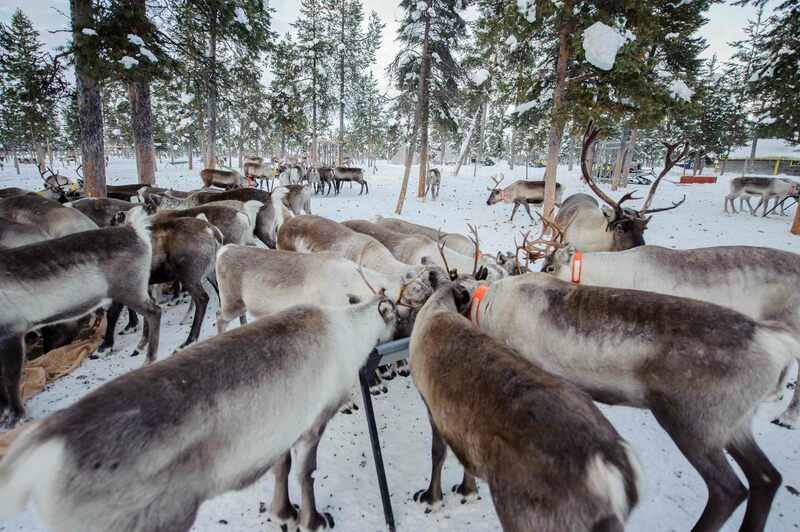 The more male reindeer you have in a herd, the easier it is for the group. 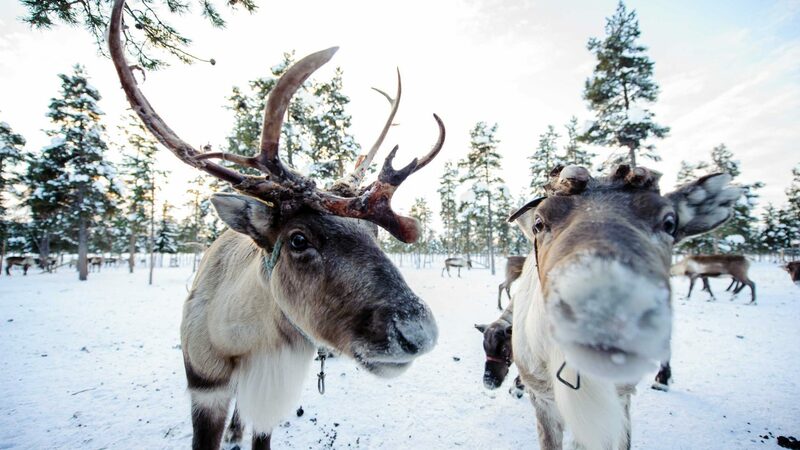 Male reindeer do most of the digging for food, so calves and their mothers can come and eat. When we arrive back to the property, it’s to a traditional tentipi (lávvu) where Per-Anders starts roasting reindeer meat in a fat called souvas. Smoke from the fire turns blue as it rises through the tent, hitting freezing temperatures on its way out. He generously scoops thickly-cut chunks of souvas onto a thin flat bread called gáhkku and passes it to me along with a cup carved from wood and filled with warm lingonberry juice. 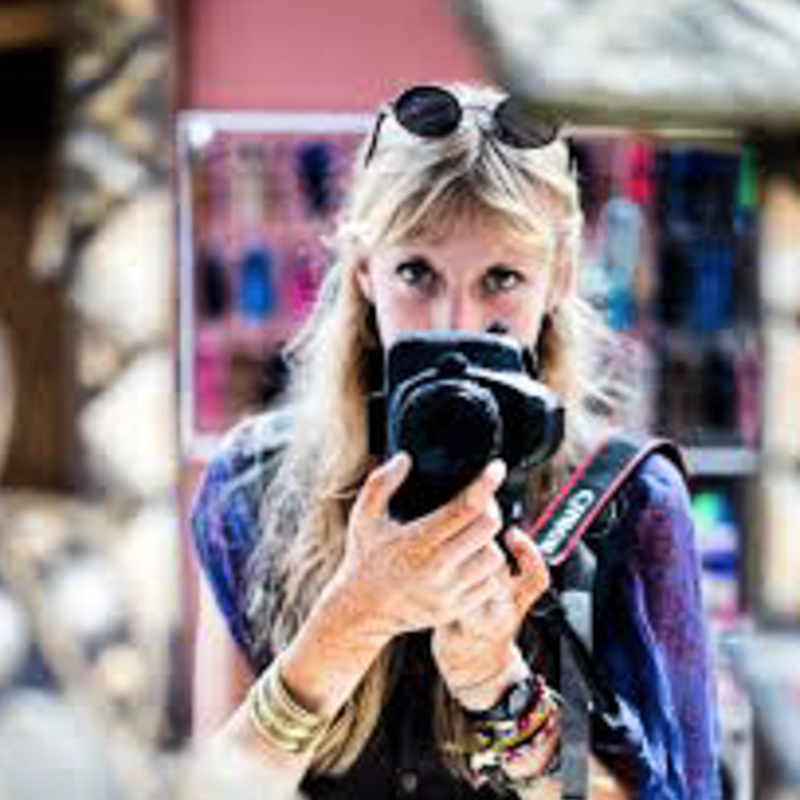 As we relax around the fire, the Nuttis note how important it is for them to tell their own stories themselves to help fight the flat stereotypical picture where the Sámi are always dressed up in the traditional clothes called gákti and only live in tents. In reality, they sometimes wear warm ponchos called luhkka which covers the top half of the body while working and save their traditional dress for special occasions.